We are located on the east side of town right on Highway 7. We currently have 7 highly trained service techs to meet all your tire and general automotive needs. We have in stock a large selection of tires at competitive prices to fit most every car, pick-up, truck, combine, or tractor. We mount, computer balance, and repair tires in our shop as well as do exhaust work, oil changes, brakes, and service Tire Pressure Monitoring Systems (TPMS). We have the latest in computer-based wheel alignment system to do front and rear alignment on your vehicle as well. 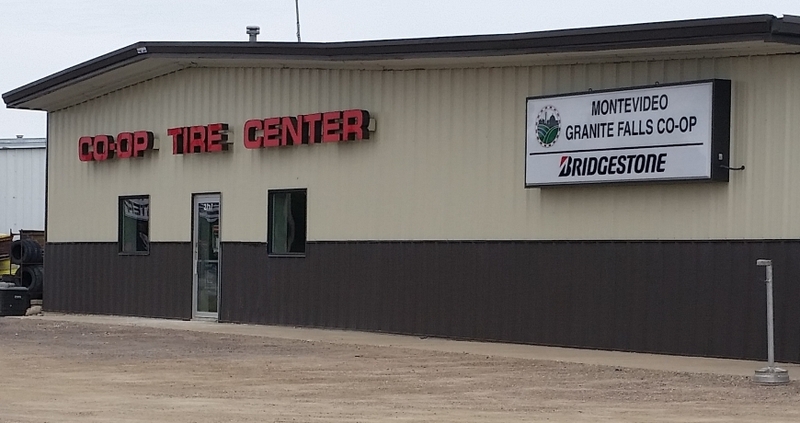 We have an on-the-farm tire service truck, which can be brought to your location to mount new farm tires, fill chloride, replace tubes, or repair your flat tires. Our on-the farm service truck is available after hours as well. We know how important it is to get back into production as soon as possible. Our sales staff is available to serve you for all your tire needs. Contact us at Monte Firestone at (320) 269-6263. View our tire selection from . View our Specials page for current offers.